Sometimes the simplest things bring the most joy! 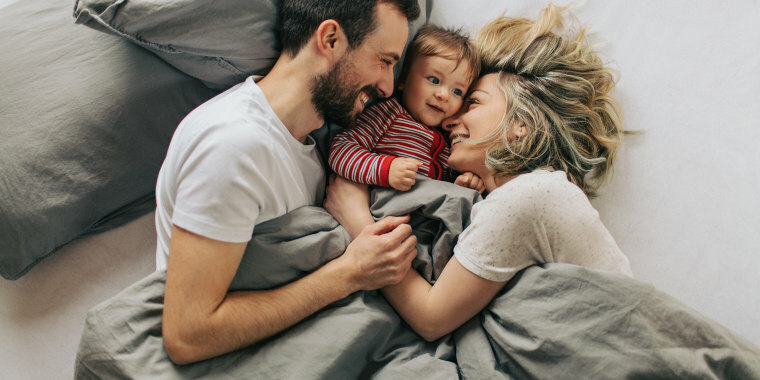 If you’re looking to turn your bedroom into a sleep sanctuary, new bedding (or a new mattress) is a great place to start. After all, you spend almost a third of your life between the sheets, so investing in linens that meet both your style and comfort needs is a no-brainer. To get some insights into what makes for good shut-eye, we consulted Rebecca Robbins, the author of "Sleep for Success! Everything You Must Know About Sleep but Are Too Tired to Ask." 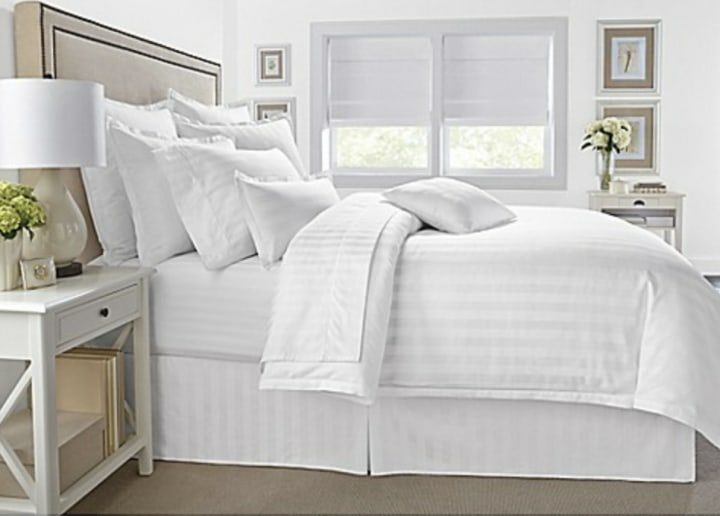 "When it comes to bedding, invest in the best sheets you can afford. With regard to fabric, opt for a high-quality option that will stand the test of machine washing. Try a few options and choose whichever is cozy, soothing and relaxing to you," she said. "Make sure you can feel the bedding before you take your sheets out of the package. You want to find something that is soothing to the touch; something that helps you relax so that when you slip between the sheets, you are at ease and ready for sleep." 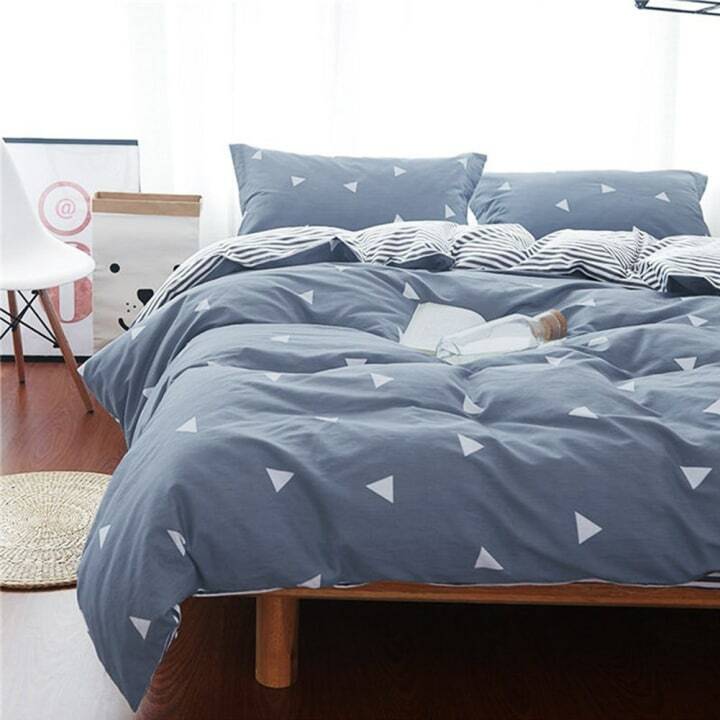 So whether you want your bedroom to feel like a luxury five-star hotel suite or a calming bohemian oasis, TODAY rounded up the top online retailers where you can find the best bedding sets, duvet covers, bedspreads and more. Happy hunting! Your favorite online destination for just about everything under the sun also has bedding. Below, TODAY Home gathered some of the best-selling pieces of bedding on Amazon, including 5-piece, bed-in-a-bag sets that come in a range of colors from navy to purple. This Amazon best-seller comes in 15 different colors from camel to baby blue. 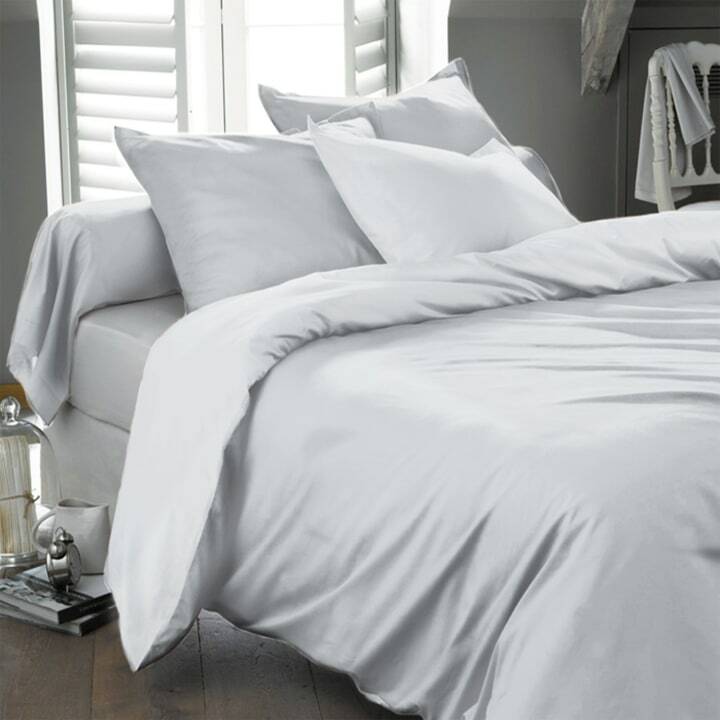 One reviewer commented, "We've slept with this for a few months now and I have to say that this is the softest, most lightweight and luxurious feeling duvet cover I have ever had." It does not come with a comforter, so if you're going to buy this best-seller, pair it with this top rated down comforter that's described as 'sleeping on a cloud'. Bamboo fabric tends to last at least two times longer than cotton. 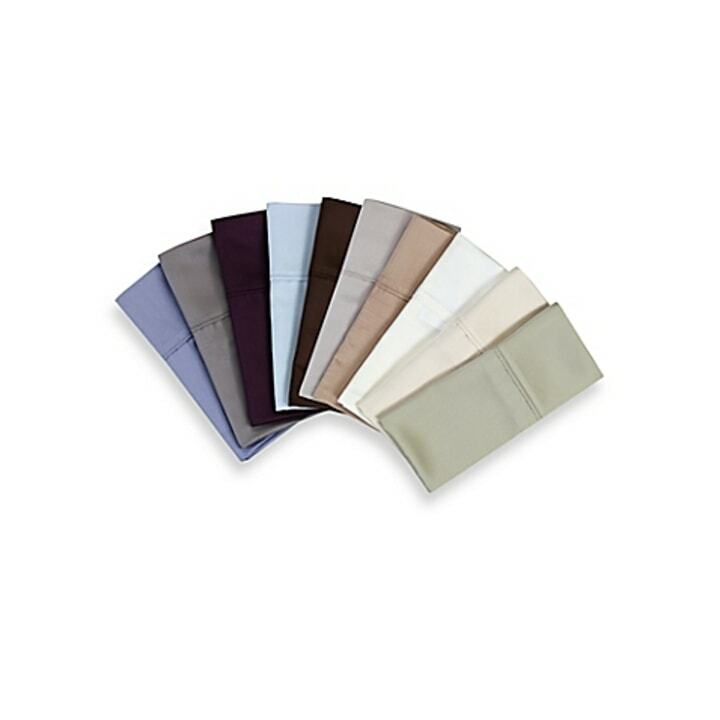 This set comes in 12 colors and has ties inside so that your comforter will stay in place, instead of bunching. One of the (many) things we love about Amazon is that much of their bedding comes in affordable bundles with a duvet with two shams. This playful set comes with a goose down filling and is available in a nautical navy. This comes in king sizes and multiple colors including white. 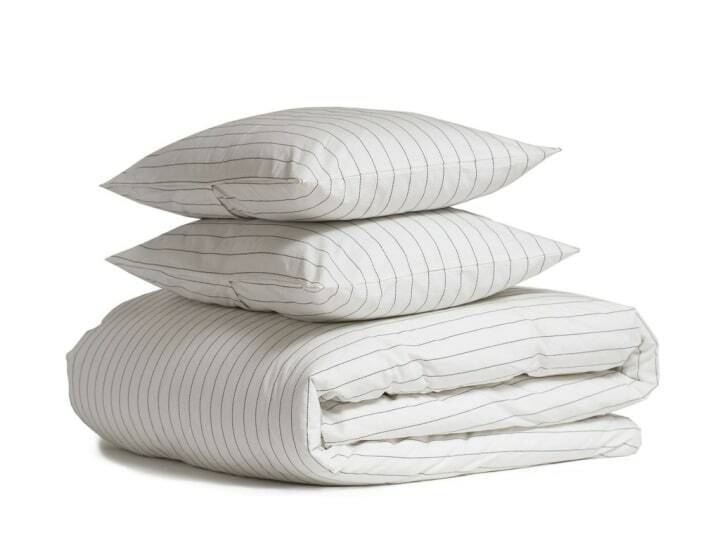 You likely won't find a better deal on Egyptian cotton right now. This fun set is made of anti-allergy, anti-mite fabric and comes in four playful colors and patterns. This bedding would really add some pep to that guest room you don't quite know what to do with. 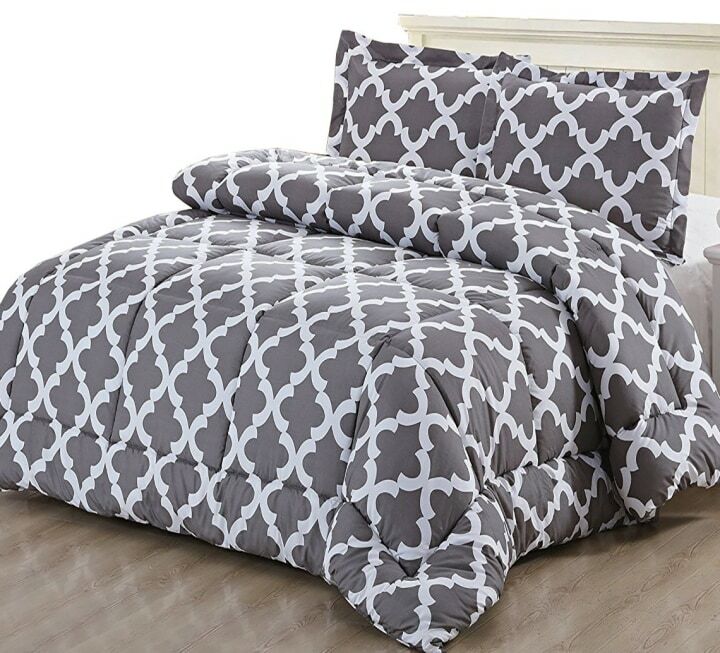 Is there anything more convenient than a 5-piece bedding set? 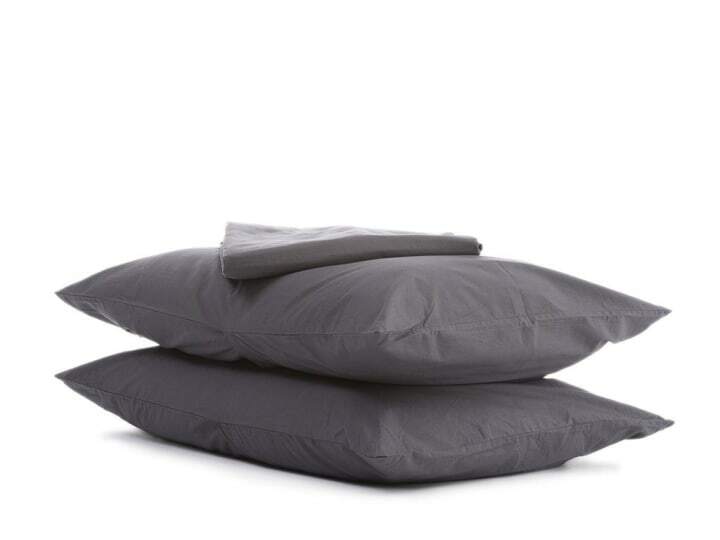 It comes with sheets, two pillow sleeves, a duvet and a pillow cover. Reviewers rave about how easy this is, especially if you're looking for something for your dorm room or first apartment. Something else we are loving about Amazon right now? It added IKEA products to its inventory. This duvet set is one of many IKEA styles available to choose from, so you no longer have to trudge all the way to the store to get something Swedish-chic. Is there anything Walmart doesn't have? Use the giant retailer as your one-stop shop for all types of bedding at a variety of prices and styles. 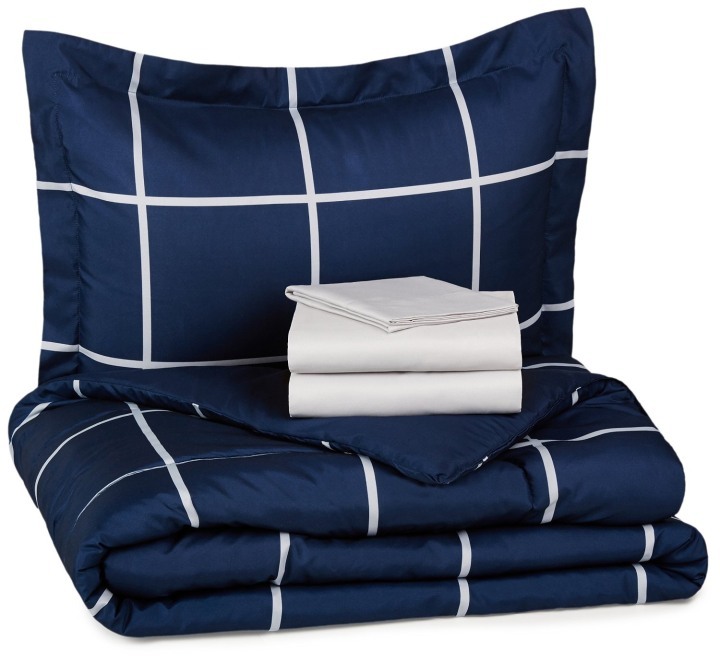 This hotel style navy blue and white five piece set comes with one comforter, two standard shams and two decorative pillows. 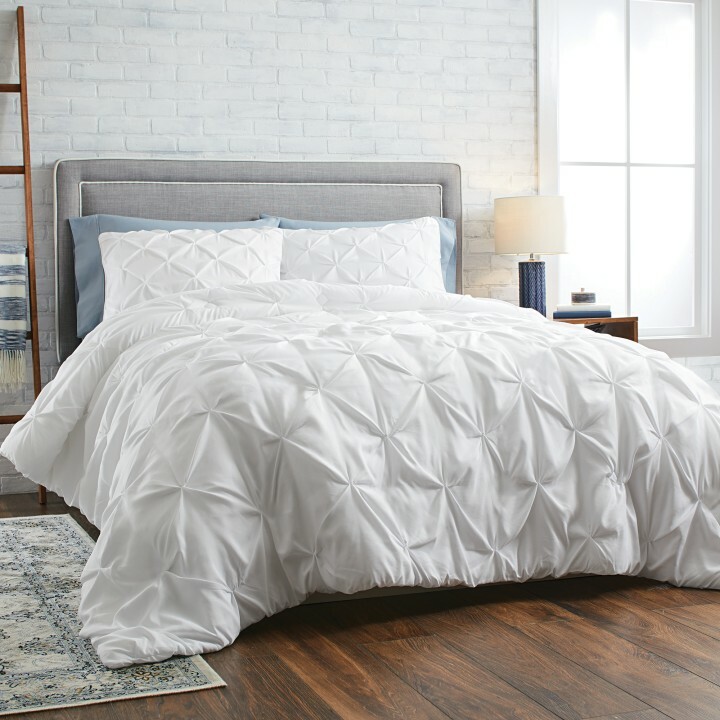 This reversible set has a modern pin tuck pattern on one side and reverses to a standard white comforter on the other side, providing twice as many options for bedroom styling. 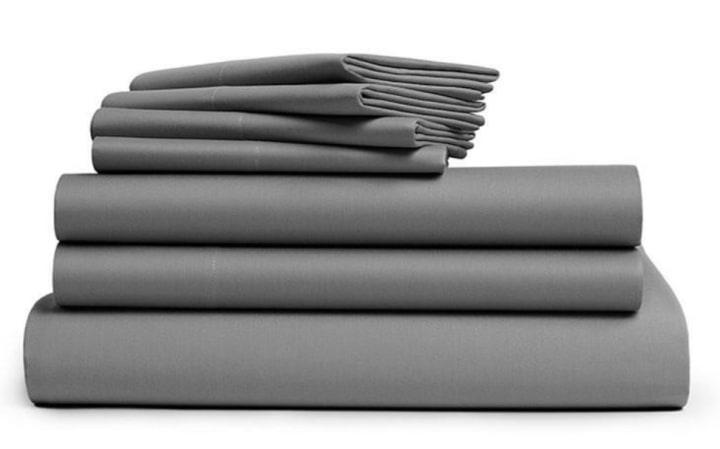 In addition to being insanely soft, these microfiber sheets have a deep pocket specifically for taller mattresses. In addition to quality sheets and other bed linens at discounted prices, you can find a huge selection of daybed sets at the online home goods retailer. 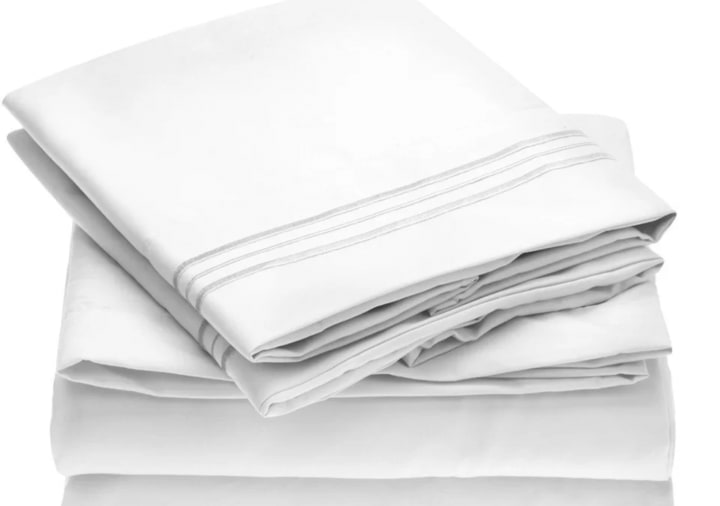 These sheets are luxurious, feel cool against skin and don't wrinkle. What more could you want? Another thing we love about Wayfair? The site carries more high-end brands than you'd expect. This includes Laura Ashley Home and Birch Lane. 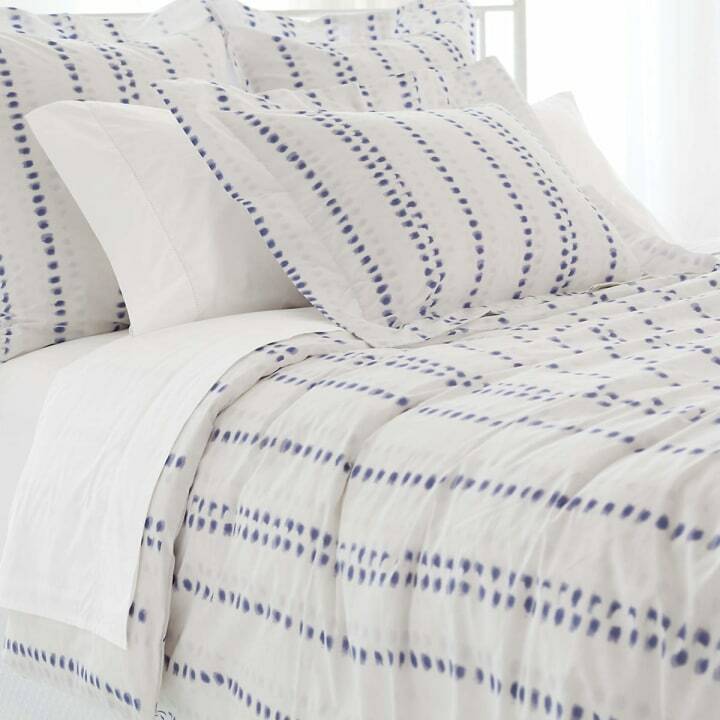 This duvet from Pine Cone Hill is fun and flirty, and at $222 it will last a lifetime. 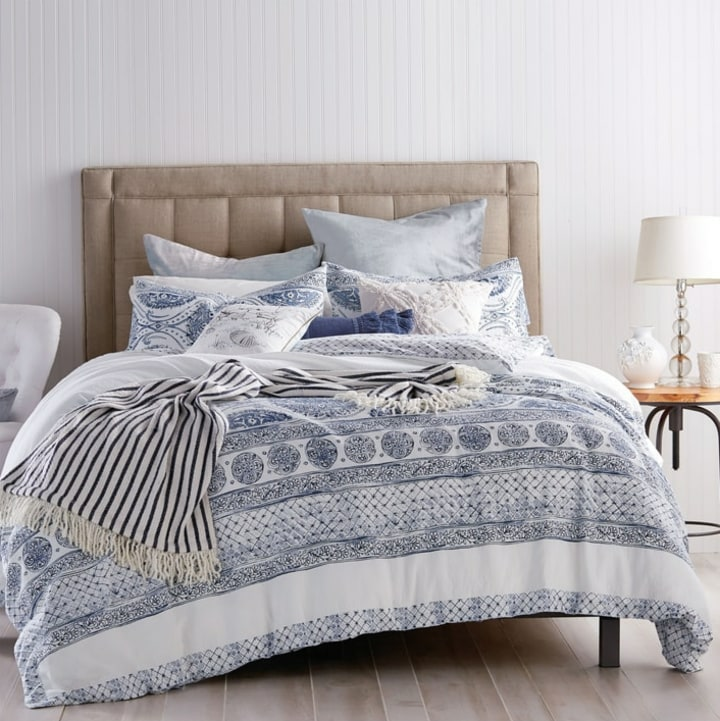 There are just too many reasons obsess to over Nordstrom bedding right now — between the great mix of high-end and affordable brands and the excellent return policy, what's not to love? This beautifully textured duvet evokes shabby chic-vibes. Ruffles are in this year and this is an excellent way to incorporate them into your home without going overboard. 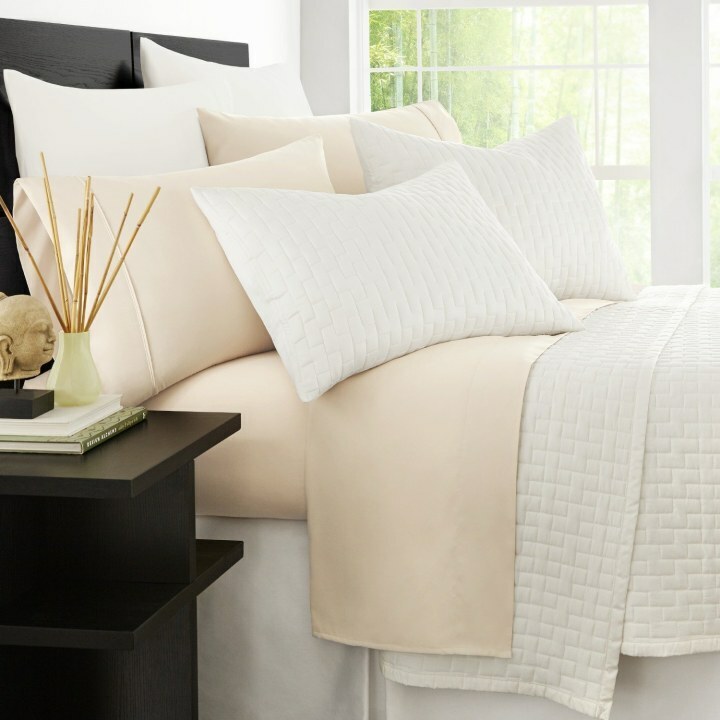 This set from a classic California brand jazzes up a white duvet with textured rectangles. Made from soft cotton, this soothing pattern easily ties a room together. 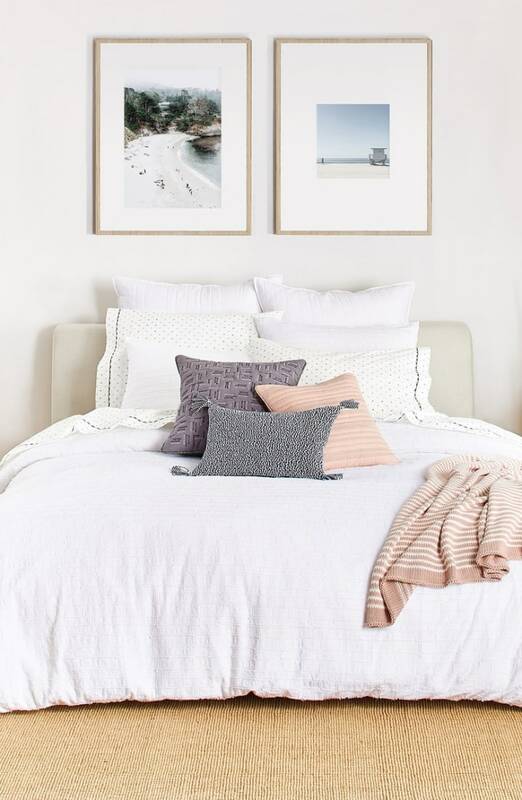 As a great alternative to chain store bedding, this chic, California-based home textile company sells premium linens in sateen and percale at accessible prices. If you love Parachute's stuff as much as we do, check out the new baby section and the mattress toppers. Made from 100 percent premium cotton, it's lightweight, breathable and great for warm summer months. The company also has linen, percale and sateen duvets that start at lower prices and come in colors like blush and robin blue. 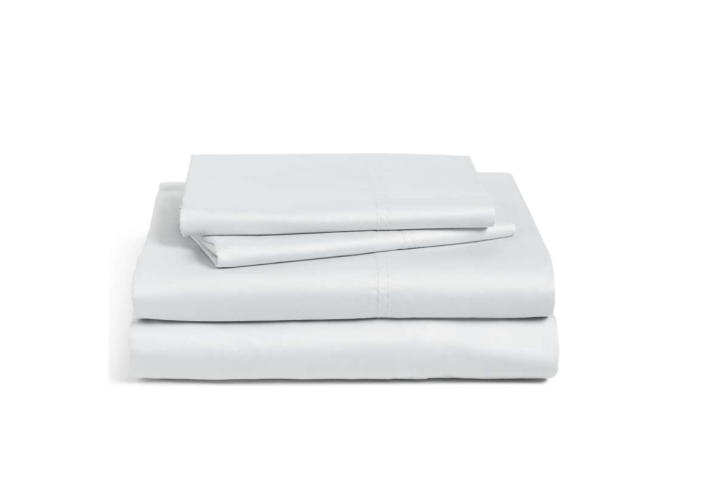 These percale sheets are "stonewashed for a soft texture and more casual appearance". They're soft, very soft, and they'll feel gloriously worn-in from the first day you use them. We'd be doing a disservice if we didn't mention Parachute's baby line. This sham is designed to be the perfect size for feedings and bedtime rituals. 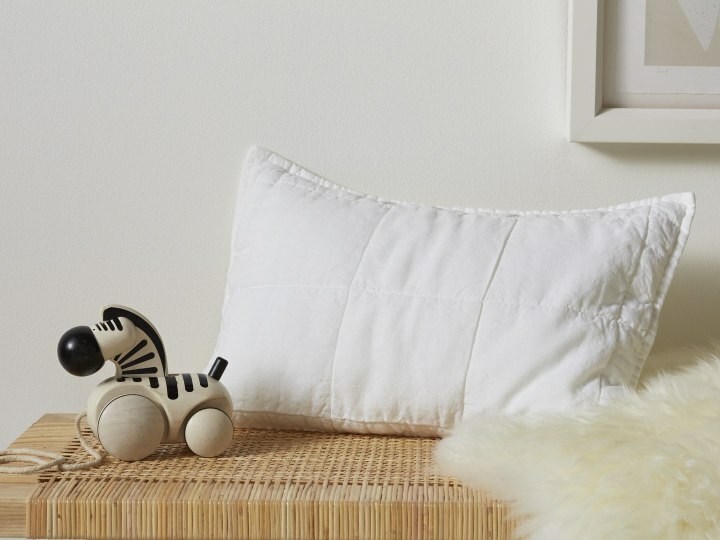 It may be pricey for a pillow but it makes a luxurious baby shower present or gift for any new mom. We love Lord & Taylor for the variety of men's, women's and kid's items. However, one little known secret is that Lord & Taylor has luxury bedding at amazing prices. 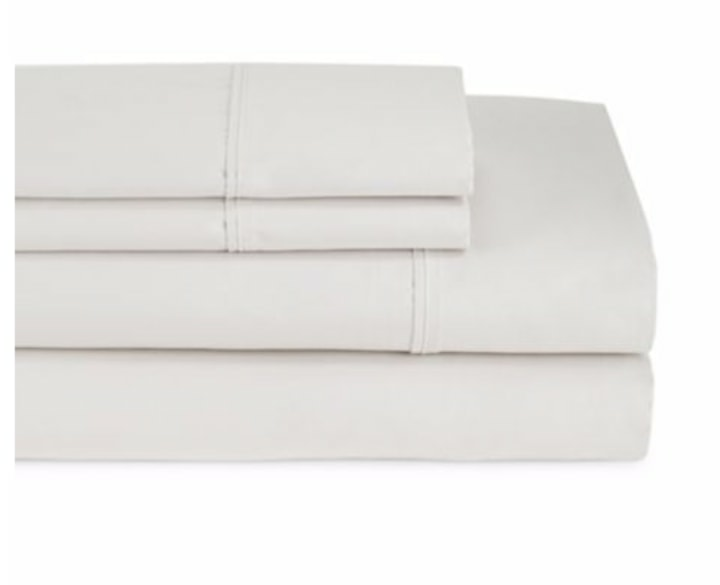 You'll sink right into slumber with these Egyptian cotton sheets that are 400 thread count. The concentric circles and rich navy add an upscale touch to even the simplest bedrooms. Available in four colors, this three-piece set is soft and meant to last a lifetime. Of course, you can get great linens for your bed at this home essentials chain — it’s right there in the name! It’s a great place to find quality, affordable sheets, duvet covers and other bedding in classic colors and styles. 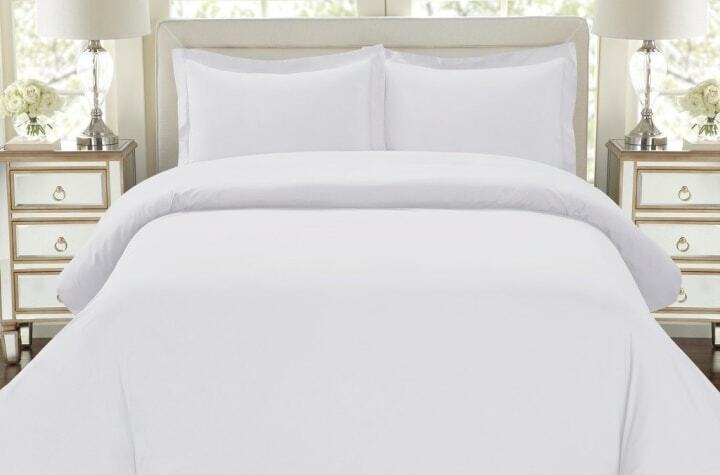 These sheets are made from 100 percent modal fibers and have a sateen weave for silk-like softness. 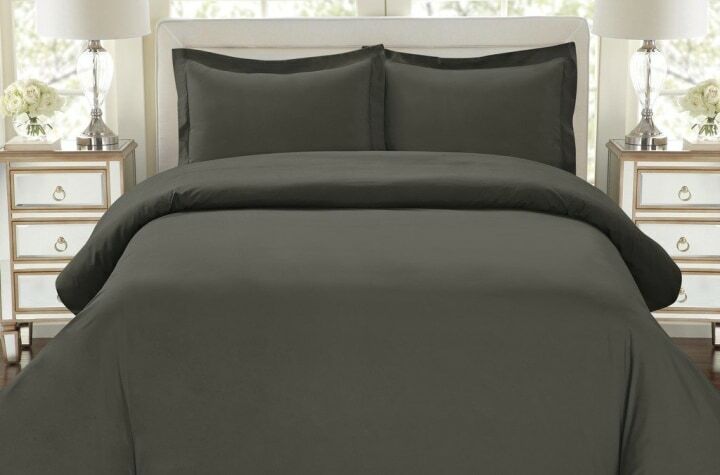 Indulge in the lustrous, silk-like feel of this 500-thread-count duvet set. This boutique bedding shop sells ridiculously soft sheets at incredible prices. It feels like cool water on skin and comes in a slew of soothing shades. 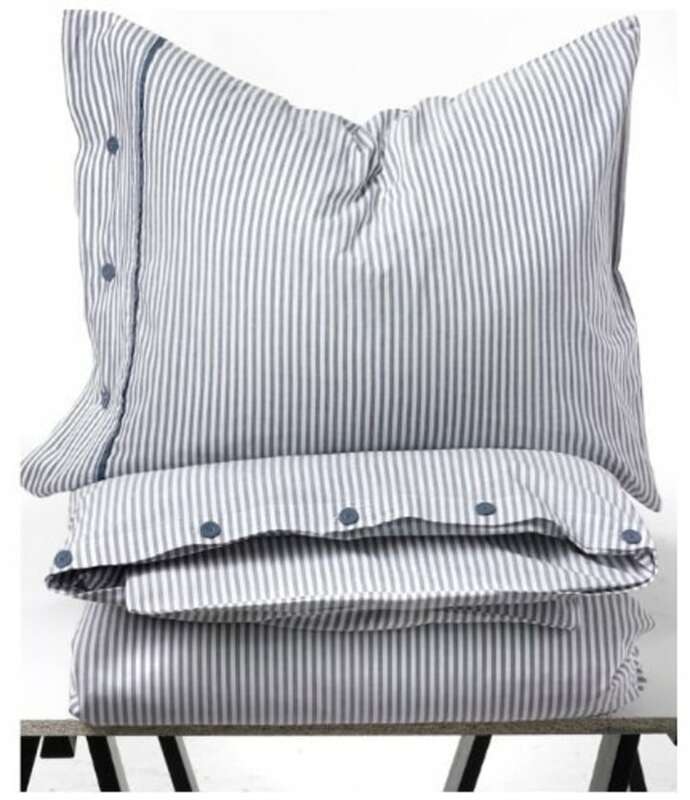 Plus, you get everything from pillowcases to a duvet cover for 25 percent less than buying them separately. Didn't find what you were looking for? Here are some other stores that carry bedding you should check out: One Kings Lane, Target, Joss & Main, Nordstrom Rack and Macy's.